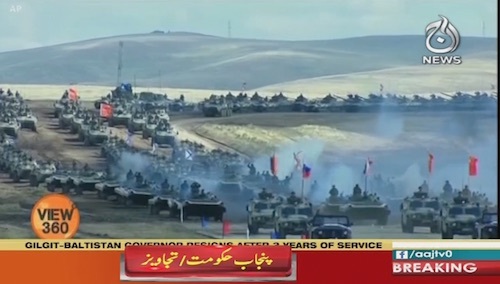 Russia is holding its largest military exercises since the Cold War in the far eastern part of the country, and for the first time it has invited contingents from China and Mongolia. About 36,000 tanks and 300,000 Russian troops, a third of the country’s military personnel, are on manoeuvres in the vast expanses of eastern Siberia. China has sent more than 3,000 troops.